One of the best things about travelling around the vast and glorious country of Mexico is the many different and wonderful regional specialities and delicacies that can be found in every corner of the land. 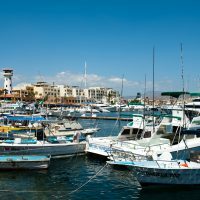 The Baja California peninsula may only be one of many parts of the country to fab food, but in our opinion it is a must for any seafood lovers who’re planning a vacation to Mexico. Foodies, get ready to delight your senses with this year’s 22nd International Gourmet Festival in Puerto Vallarta and around the neighboring areas of Tepic and Riviera Nayarit this November. 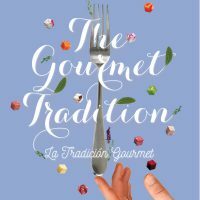 Various gourmet-driven events with mouth-watering international dishes will be offered throughout this festival which was first launched by Chef Thierry Blouet and Chef Heinz Reize in 1995, with Chef Roland Menetrey joining them in 2000 as honorary founder. Cancun is one of the biggest and best party destinations in the world, and it has made Mexico famous in many senses… but there’s so much more to do and see in and around Cancun than just bars and the party scene. There are, for example, many gorgeous Mayan ruins such as those found at Tulum. The peace and tranquillity of Tulum is only 80 miles from the vibrant hustle and bustle of Cancun, but it feels like a whole new world. Who doesn’t want to find a great deal on their next vacation? There is no better place than Mexico to find great vacation deals. 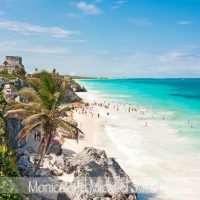 If you don’t mind doing a bit of research, then you will find some of the best deals of vacations to Mexico, then before you know it you will be soaking up the sun in Mexico on your vacation. Look below at the top six tips on deals on vacations to Mexico.